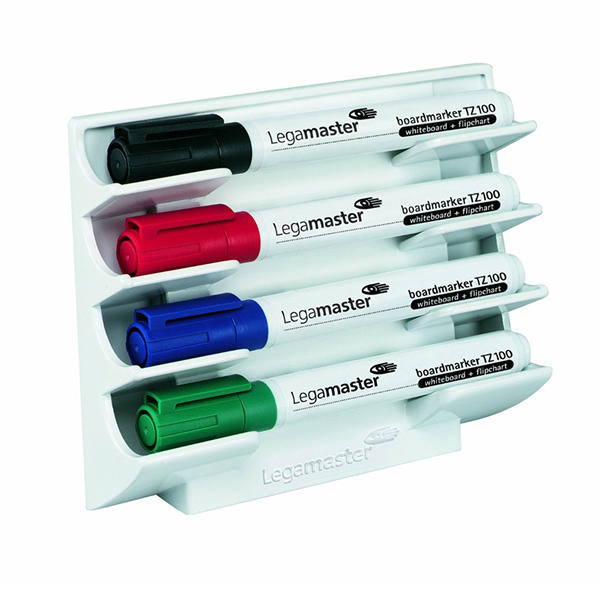 Legamaster White Magnetic Marker Holder 7-1220-00 – ED02838 – OfficeYoo! Do you often come to your whiteboard to find that you can’t find a marker? Never lose your whiteboard markers again with this board accessory from Legamaster which will tidy up and organise your whiteboard. The magnetic marker holder is designed to hold up to four whiteboard markers horizontally and will attached onto any magnetic board. Easy moved, you can position the marker holder wherever is convenient and move it depending on your whiteboard use.